Immigration and Relocation in Australia. Free Resources. Australia has one of the highest standards of living in the world. Australia offers a superb climate, a unique and beautiful environment and a well developed society. Also, Australia has the third lowest cost of living in the major developed world, behind only USA and New Zealand. Five of Australia’s mainland capital cities have been ranked in the top eleven liveable cities in the world. Australia’s lifestyle attracts people from all over the world. The country’s quality of life was judged the best in the Asia-Pacific region by the 2007 World Competitiveness Yearbook. 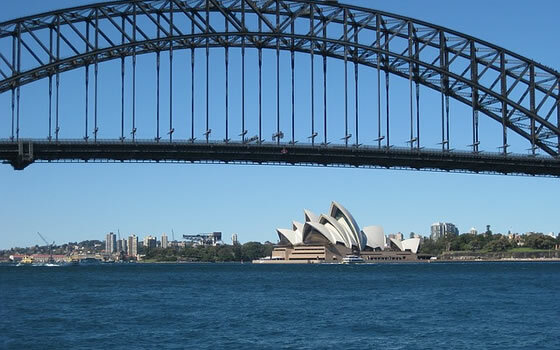 The Quality of Living Survey 2006 from Mercer Human Resource Consulting placed Sydney, Melbourne, Perth, Adelaide and Brisbane among the top 35 cities in the world in which to live. Which ranked them ahead of London, Paris, Singapore, Tokyo and New York. Australia’s human development index (HDI) is the third best in the world, behind only Norway and Ireland. Australia’s life expectancy (81 years) has been judged third highest in the world behind Japan and Hong Kong. Australian’s love to eat out, a typical restaurant meal will be around $60 per head. With an entree or starter at around $9-15 and a main course $30-$40. Going to the pub is another favourite past time, buying a schooner of beer will cost around $5-6 (the name and size of a glass of beer varies between states), buying a glass of wine will be $5-7 per glass. Migrants from Britain and Ireland are always surprised at how much cheaper beer and wine is in Australia compared to the UK and Ireland. I have had friends and families act like children in a sweet shop when visiting a bottle shop to buy a bottle of wine when they see the brands they know back home that are a third of the price. The Australian dollar is the national currency. They have $100, $50, $ 20, $ 10 and $ 5 notes, and $2, $1, .50 cent, .20 cent, .10 cent and .5 cent coins. There are no 1 cent coins. Many places charge something like AU$ 5.99 for a product, just for marketing effect, but in the end you will pay AU$ 6.00. You can’t do a direct currency conversion to determine what it costs to live in Australia. It’s all relative to how much money you make, your accommodation, what city/town you will live in etc. Be aware – when you first arrive in Australia, everything will seem unbelievably cheap when you starting converting back in to your old currency. I know this lasted about 6 months for me. Financially you will hopefully find yourself in a better position while living in Australia. You may find that your job is probably the same job you did in your country, but you’ll be earning a lot less than you did. Some companies exploit this when recruiting people oversees -so be aware! All residents have to annually submit an Australian income tax return. Australia has a fairly high rate of income tax. This can either be done yourself using the ATO’s etax software (its a good way to start to learn ) or using a Tax Accountant (they don’t cost much e.g. $150, which can be claimed against the following years income tax). For more information go to<< Australian Income Tax >>. The above rates do not include the Medicare levy of 1.5% (read What is the Medicare levy? for more information). Here is a simple Income Tax Tool to help estimate your taxable income. A little known fact is Australia’s Living Away from Home Allowance (LAFHA). Which is designed to meet the needs of an employee who must live away from his/her principal place of residence (local, national, international) to fulfill his/her employment responsibilities. It can result in a significant saving of $000’s for you per year. Do I need a VPN in Australia? Do Australia and New Zealand Really Have a Special Bond? Copyright © 2019 Immigration to Australia. Powered by WordPress and Stargazer.